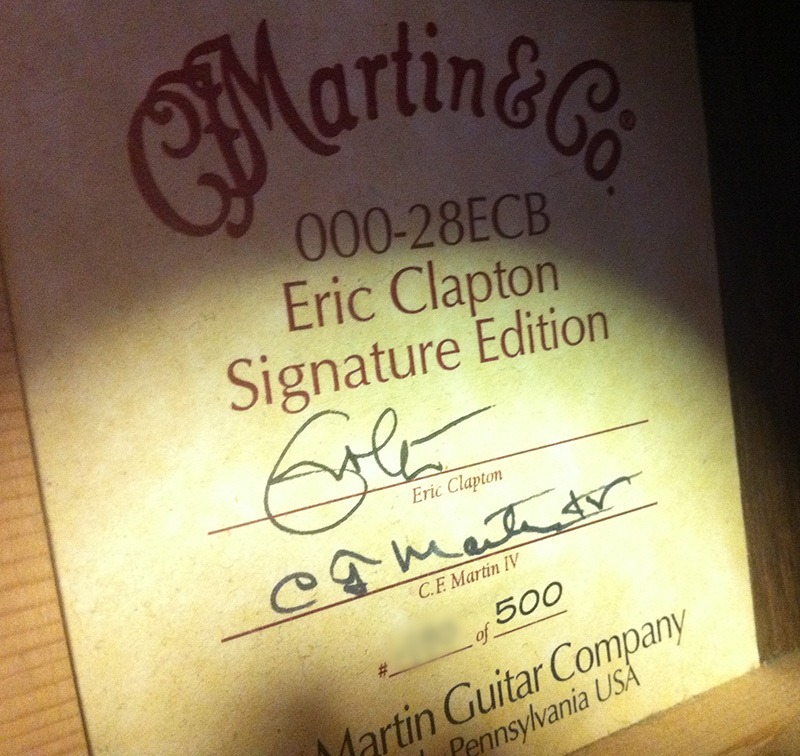 This 2004 000-28ECB Eric Clapton Signature Edition was limited to 500 special hand selected instruments. 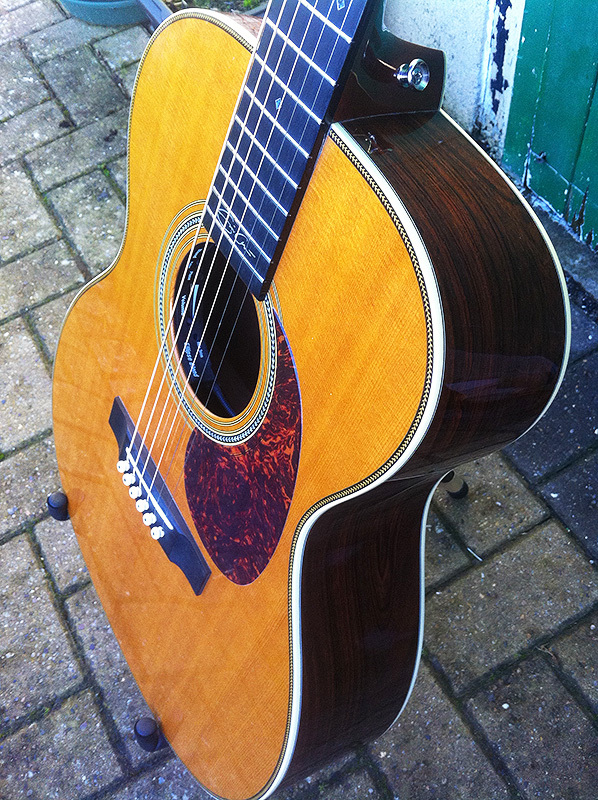 This guitar has a stunning quartersawn Brazilian Rosewood back and sides and an impressive even grained book-matched top. 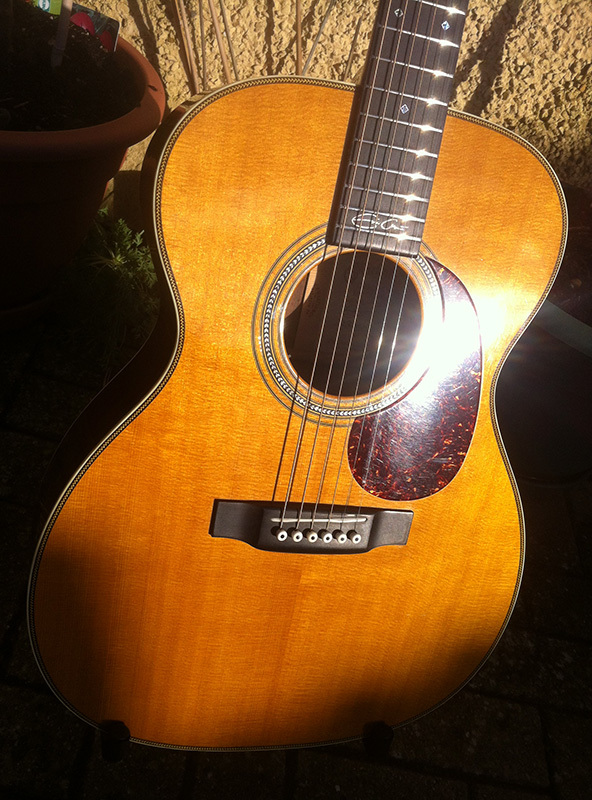 There is something quite extraordinary about Brazilian rosewood, with its straight claret grain. 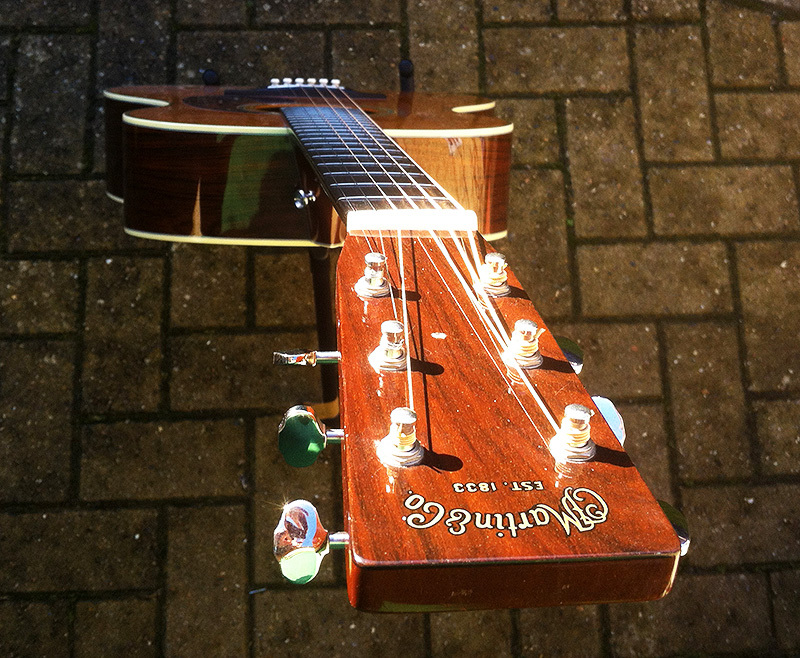 The guitar has a 45mm neck width, a stunning black and white Pearl herringbone rosette, ivorine bound body, dark ebony fingerboard and bridge, abalone diamonds and squares fingerboard inlays, bordered in pearl. 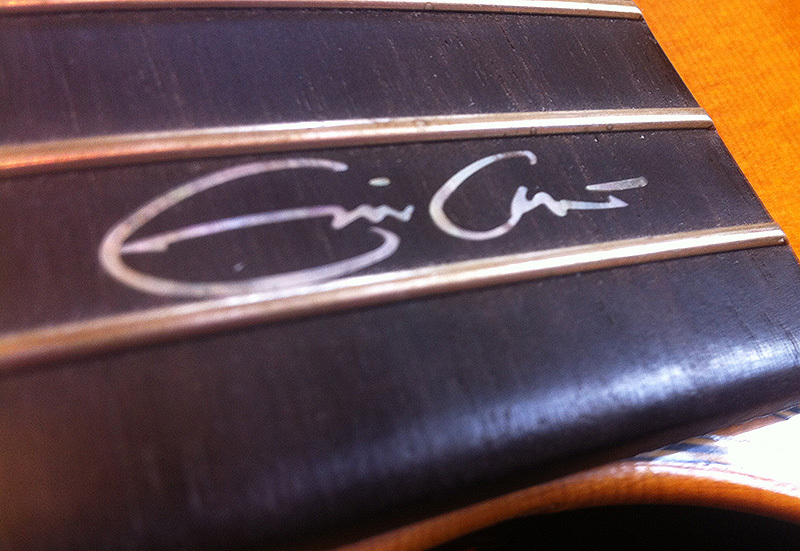 Clapton’s signature is inlaid in mother of pearl between the 19th and 20th fret. 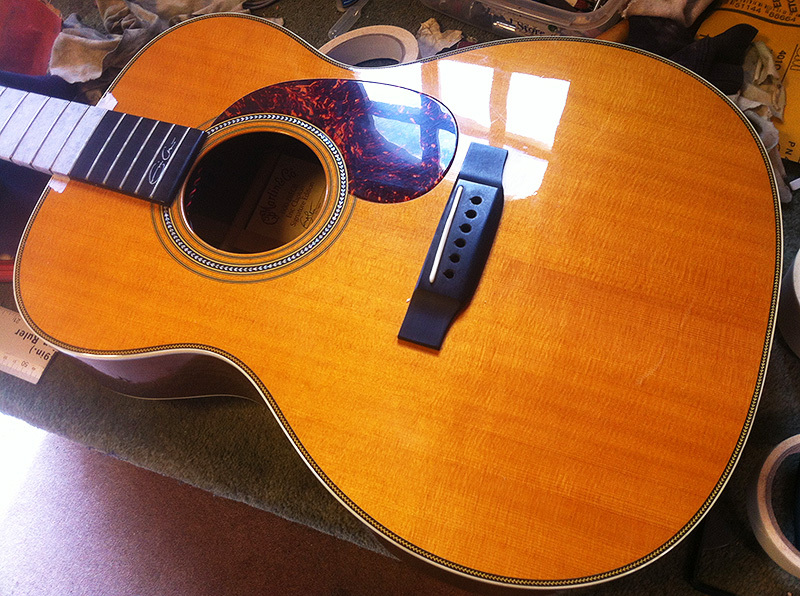 This guitar had never been setup since it left the factory. 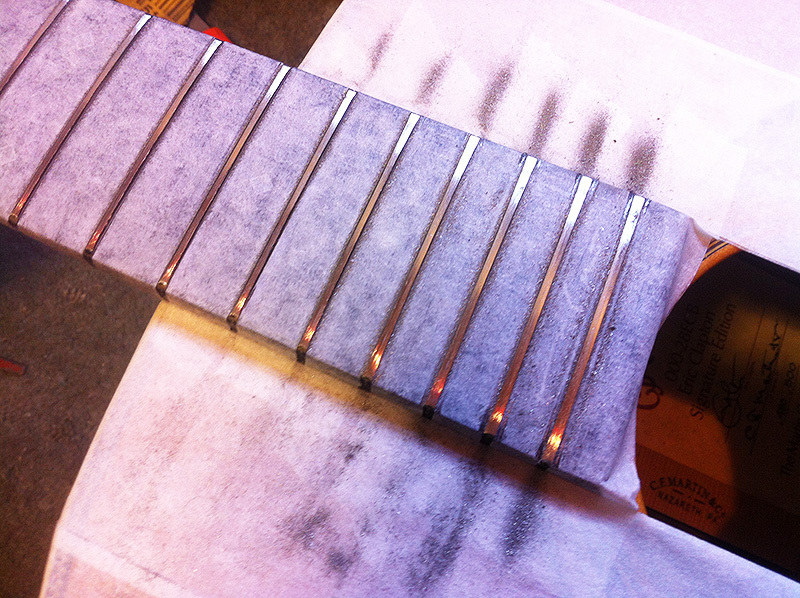 It required some wear removing from the lower frets. 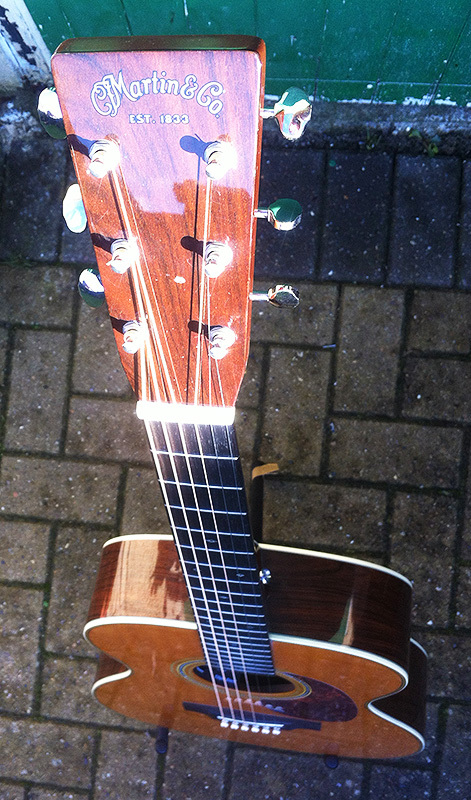 There was also a slight rising tongue on the 14th fret.